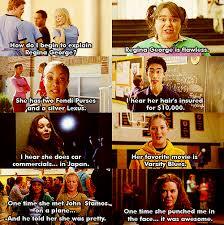 How do I begin to explain Regina George? We all know Regina George. That girl who comes to school every day with perfect hair and the cutest outfits, the woman at the gym who sweats in the most beautiful way, the mom in Target with well-behaved children in adorably coordinated outfits, the lady at the office who brings delicious snacks to the break room each week. 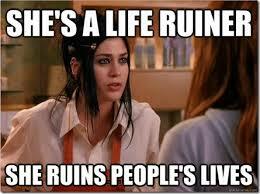 Everyone has a Regina George in her life. I can guarantee that every girl and woman can think of at least one girl or woman who has made her feel bad about herself at some point in her life, whether it was intentionally or unintentionally. Many times, it has been intentionally. 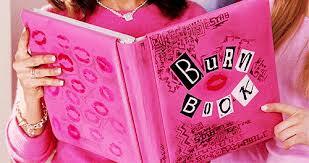 In fact, most of us can think of more than one Regina George who victimized us at more than one time in our lives. These incidents leave deep scars on us, down in the hidden parts of our hearts that we don’t want anyone to see. And we do a lot of unhealthy things to try to heal that hurt. But what we learned about Regina George is that she is just as broken as the rest of us. She doesn’t have a good relationship with her mom and dad. She’s been with a lot of guys. She’s insecure about her appearance. She covered up her issues with a cocktail of manipulation, gossip, false compliments, nice cars, and pretty handbags, and created a cold, shiny, hard, plastic veneer to keep the world at bay. Now, we could all get together and sit in a circle and share our stories and cry and hug and talk about baking a cake of rainbows and smiles and we could all be happy.But if we were honest for one second, we’d realize that it’s only a temporary fix, a small Dollar Store Hello Kitty band-aid over a gaping, festering wound. I think we need to approach the problem from a different angle. All too easily, women play the comparison game. I teach middle school and high school students, and I hear it every day. Not just because I know how physically, emotionally, and spiritually dangerous this game can be, but also because I know that this is only the beginning for them. Today it’s their bodies and the number of followers they have on Instagram. Then it will shift to boyfriends, colleges, weddings, husbands, careers, income, homes, cars, pregnancies, post-pregnancy bodies, children, parenting skills, and on and on and on. And they will continue to play this game for the rest of their lives. But the only way we are going to begin to fix this problem is to face the pure, sweet, difficult truth. There is a Regina George in all of us. And she thinks that she should be better than everyone else. We know this because our natural reaction when we feel the “injustice” of another woman’s success is not the celebrate but to tear her down. We scoff at the first time mom’s decision to use cloth diapers, calling her “naive” and “idealistic” despite her thorough research and careful decisions. We downplay our neighbor’s healthy weight loss by crediting good genes or an excess of free time instead of recognizing the hard work and dedication it took to get there. We ignore our own unique beauty and the beauty of other women around us because we’re too caught up in measuring beauty by unrealistic magazines and Pinterest boards. We keep our own personal “burn books” in our hearts and visit the pages whenever we’re feeling sad, angry, disappointed, or inadequate. It’s time to kill Regina George. It’s time each of us recognized that little Regina George in all of us and pushed her in front of a speeding school bus. #1) Stop surrounding yourself with women who let their inner Reginas thrive. #2) Practice thinking about yourself in a realistic way. #3) Be excited for the women in your life. And not just your friends. It’s going to be so fetch. Only a day ’till all these tests. This year, I am teaching a creative writing class. At the end of the first quarter, my students made poetry portfolios showcasing their best work. Here are some works from two of my students. The rain began to soar. next thing you know the trees will fall. we’ll see who else has survived. because my future is unclear. God will always be there. The first of it all. The last of the fall. (Rise loon call) to the lake, wander. Like a lost shadow, cry. Call the stars to life. (The sky) we touch it. (The ground) we hold it. Delighting us with their songs. They pay us with their voices and we keep them safe in our outstretched limbs. We stand and watch the dirt turn to dust, until finally… We topple. Enter your email address to follow this blog and read from the comfort of your own inbox! The terms and conditions of marriage. The baby accidentally chewed the dog toy.